Non-sparking drum deheader, steel drum deheader, drum funnel, drum funnel fill unit. Additional drum equipment is available on our Cradles, dolly, lifters , Drum and pail heaters , Drum pumps , Faucets , and Faucets for flammables pages. Other drum vents without funnels are available on our Bonding wires, vents page. 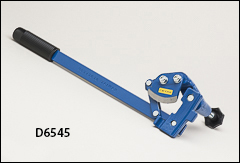 100% non-sparking deheader with comfortable plastic handle grip. The blade is a sharp, edge hardened non-ferrous material. Deheader includes one blade. WARNING: Proposition 65 Label for non-sparking deheaders . For cutting off the tops of 30 and 55 gallon drums. Not for use in hazardous locations or with hazardous materials. Handle and blade are made of steel. Justrite wide-mouth safety drum funnels for easy transferring of liquids into the 2" bung on a 30 or 55 gallon drum. Funnels comply with EPA and OSHA regulations and are FM approved. 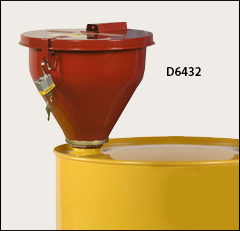 Internal brass flame arresters inside the funnels protect, absorb, and dissipate heat to prevent external ignition from reaching the drum's contents. Other, separate drum vents (horizontal and vertical vents) are shown on our Bonding wires, vents page. WARNING: Proposition 65 Label for all funnels and vents . Includes a 6" long flame arrester. High density polyethylene (PE) funnel is 7.43" high with a 9" top diameter. Vent cap provides automatic pressure and vacuum relief. Cap is cast brass with 2" NPS/NPT threads and is attached with a safety chain to prevent misplacement of cap. The fill vent and funnel are also sold separately, as listed below. 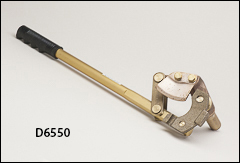 The brass vertical vent is model # 08101, which is shown on our Bonding wires, vents page. Includes a 6" long flame arrester. 18 gauge galvanized steel lid with epoxy powder coat paint provides durability and chemical resistance. Funnel is 10" high with a 10.75" top diameter and a 2.6 gallon (9.8 liter) capacity Self-close feature includes a fusible link that melts at 165° F (74°C) and causes lids to automatically shut in case of fire. Hinged lid reduces the spread of vapors. Lid accepts a lock to protect against unauthorized access. FM and TUV approved. Other available options for this style funnel include a 32" flame arrester for greater liquid flow, model # 08205. This type steel funnel is also available in a smaller size for use on 5 gallon steel pails. Includes a 6" long flame arrester. 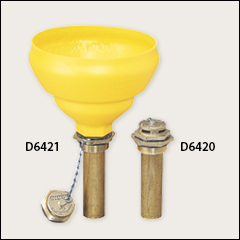 This D6433 is the same funnel assembly as the D6432 shown above, but it also includes a tip-over protection kit. This tip-over kit includes a self-closing ball valve with a 2" bung adapter, and a brass vent with 3/4" bung adapter. The ball valve threads into the 2" bung and minimizes vapor emissions as well and prevents spillage if the drum is accidentally tipped over. 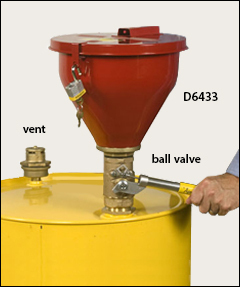 Depress handle to manually open valve, and release handle to automatically close valve--sealing the drum. Ideal for earthquake prone areas. The separate brass vent (included with this kit) threads into the 3/4" bung adapter and provides pressure and vacuum relief for protection against drum rupture or explosion. The tip-over protection kit (ball valve and drum vent) is also sold separately as model # 08214, which is for use on 08205 and 08207 funnels. Please call us for pricing on this separate kit.